Congrats! Please send me your address within 78 hrs so I can send it to the publisher! 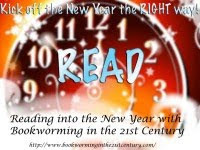 I am going to be reading into the new year along with Kristen and many others. Why not join in? I read- Need by Carrie Jones! I did it and it was really fun! What a great way to start the new year! Happy New Year Everyone! For next year I have some blogging resolutions that I thought I wuld share with you! If you have any other ideas that I could use to make my blog better in 2010 let me know either in the comments or email me @ a_readers_adventure(at)yahoo(dot)com. I would love your input! Have a great last few hours of 2009! And let's make 2010 an even better year for blogging! Cameron Smith, 16, is slumming through high school, overshadowed by a sister “pre-majoring in perfection,” while working (ineptly) at the Buddha Burger. Then something happens to make him the focus of his family's attention: he contracts mad cow disease. What takes place after he is hospitalized is either that a gorgeous angel persuades him to search for a cure that will also save the world, or that he has a vivid hallucination brought on by the disease. Either way, what readers have is an absurdist comedy in which Cameron, Gonzo (a neurotic dwarf) and Balder (a Norse god cursed to appear as a yard gnome) go on a quixotic road trip during which they learn about string theory, wormholes and true love en route to Disney World. This new book by Libba Bray is nothing like her previous novels! First of all it is from a boy's perspective, and it is in America and in preset day. This was a very long book, while most of it was important the middle just kind of went on, and on. Cameron and his friends were hilarious Libba created some real characters with them. Cameron is dying of "Mad Cow Disease" and therefore sees all kinds of stuff that he should not see, so therefore his is perfect to save the world. Ok a little far fetched but I'll bite. This very interesting plot makes for a pretty good book. But it just goes on for too long. The book could have been cut in half and I would have been happy. The ending was the main problem for me. It made no sense. I could not tell you what happened if I re-read it right now. But besides the length and the confusing ending, the book was a good premise with great characters, a good book for boys! I hope Libba finds a good medium for her next book, which I will definitely read! *Sorry the info was wrong! I fixed it thanks! 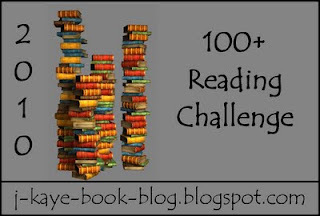 I am going to be participating in J. Kaye's 100+ reading challenge. This post will help me keep up with books read! Check the Challenge Out! Skye Hamilton has scored an invitation to the ultra-exclusive Alphas-only boarding school where beta is spelled LBR . What happens when the country's best, brightest, and hawtest begin clawing and scratching their way to the top? If you have read the Clique novels and want something a little tiny bit older and mare technological. Alphas is for you. All the cool different gadgets in this novel are enough to make anyone scream. Skye and the other girls each had their own personalities and while I liked some of them more than others, they were overall really diverse. I did not really like Allie A. becasue she drove me nuts but, all of the others were pretty cool. This was a very innovative idea. While this book is really fluffy it shows some of the problems between girls. This is basically an upgraded version of The Clique, but I definitely liked this better. I can't wait to read the next books. This book was very shallow, and the beginning was kind of confusing as to what was happening, but overall a pretty good book. What do you do if you can deadlift a car, and you spend your nights flying to get away from it all? If you’re fifteen-year-old Avery Pirzwick, you keep that information to yourself. When you’re a former jock turned freak, you can’t afford to let the secret slip. But then Avery makes some friends who are as extraordinary as he is. He realizes they’re more than just freaks—together, maybe they have a chance to be heroes. First, though, they have to decide whether to trust the mysterious Cherchette, a powerful wouldbe mentor whose remarkable generosity may come at a terrible price. This was a really cute book! Not too many superhero books deal with superheros as children. Avery comes across very well, like a normal boy dealing with a hard problem, i.e he does not want to tell his parents ect. The other kids were kind of cliche but they developed well throughout the book. I really enjoyed the different types of abilities that were in the novel. Not just the typical ones, but really cool ones that I had never thought of before! The villain was obvious but the villain did things I never would have expected! Also this would be a really good book for boys. The only thing that I did not like about the book was the fact that the secondary characters were cliche. Overall a good debut! I cannot wait for more! Parajunkee from Parajunkee's View is giving away an awesome redo for your blog. It will include a new header, button and background. Her stuff is beautiful so check it out! I have been anxiously waiting this book ever since I stumbled upon Jackson's website about a year ago. Her blog is hilarious and so I knew her book had to be good. It was! With a very interesting premise, Jackson takes us to a story filled with romance, longing, and fun. Jinn and Viola's chemistry was apparent from the beginning. All of the characters were lively and fun. Overall this was a great book, with a storyline that is new and inventive. Definitely check it out! To die or not to die of utter mortification . 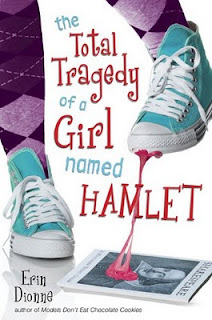 . .
Hamlet Kennedy just wants to be your average, happy, vanilla eighth grader. But with Shakespearean scholar parents who dress in Elizabethan regalia and generally go about in public as if it were the sixteenth century, that’s not terribly easy. It gets worse when they decide that Hamlet’s genius seven year-old sister will attend middle school with her— and even worse when the Shakespeare project is announced and her sister is named the new math tutor. By the time an in-class recitation reveals that our heroine is an extraordinary Shakespearean actress, Hamlet can no longer hide from the fact that she—like her family—is anything but average. This was a really cute book by a newer author, her other book, a YA book "Models don't eat chocolate cookies" has already come out so check that out while you are waiting for this! This is a middle grade book but it still kept me interested. While some of the "problems" seemed juvenile, but once I thought about it from a a 13 year old's view I really enjoyed it. Hamlet is really cute and the horrors of having a genius for a little sister, and crazy parents was painted well. The character interactions were really good, as was the plot and I cannot wait to see more from Erin and Hamlet! The only problem I had was that I felt the the ending could have been a little better it was kind of drawn out, and I just kept waiting for the conclusion. But overall a good book. If you have not read any of Sarah Dessen's books then you need to experience them. All of them are poignant, and have real themes. All of her characters are believable and lovable. Some of my first literary crushes are from Sarah Dessen. Along for the Ride was the same. Auden, and Eli develop such a great relationship that makes you want one like it. Auden is dealing with real problems, and she is struggling like a real girl. She is very relate able and I want her to be my best friend. And I want Eli as my boyfriend! The plot moved very quickly and was beautifully written. 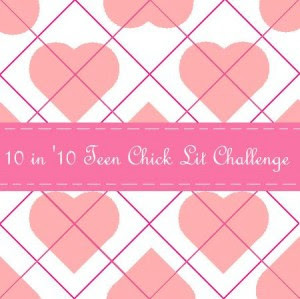 If you have never read a Sarah Dessen book why not start with this gem? Overall a fabulous book just like all of her other books! Happy Holidays! Today I have three things for you! A Contest, a review, and a guest post from the author. So lets get started! For most kids, a trip to space camp is the trip of a lifetime for Aadi it was life altering. After receiving a camp immunization needed for travel to Mars, Aadi finds that the immunization is the catalyst of an insidious experiment. He realizes what is happening too late for a change of fate. 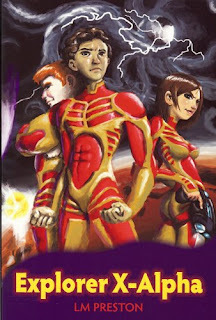 The full experiment is set in motion when he and his co-pilot, Eirena, crash in a distant galaxy called Shrenas, where they change and realize the full extent of their power. This turn of events forces him to grow up quickly, accept his change, and to decide to save a world, or to do what he was trained to do dominate it. His power is coveted by the warring leaders of Shrenas, and he is forced to choose sides a decision that may prove just how much humanity he has left. This was a very imaginative book, with lots of different facets that I never would have expected. Each of the characters were different and brought their own distinctive way to the story. The plot was exciting and very unpredictable. The originality of this book astounded me. Many scifi books are all similar but this one stands alone. All of the different species in this book were described so vividly, and they came to life on the page. The only real problem I had with it, was that it was kind of slow in the middle, but the ending made up for it. I really enjoyed this book and I cannot wait for the next one! It all started on a long car trip to Florida. My husband, kids and I were on our way to my ‘Happy Place ’, better known as Walt Disney World. That was a pivotal point in my writing career. He told me to think up something and share it with him. Well, let me tell you a little secret about my husband. He is a big science fiction fanatic, and has comic books, graphic novels galore. He watches it and breaths it. It was the ultimate challenge, because I knew that he is a very opinionated person that would not hold back his comments to save my feelings. The next day I thought about Aadi while at a traffic light, and thought up his adventure, by asking myself, what adventure would I want to do? Well after Aadi whispered his idea to me, I was ready to write about him. Later that week, wouldn’t you know it, my husband asked me about my story idea. I told him, that I had an idea about a boy who’s parents force him to go to space camp only for him to discovered that he was being experimented on so that he could go to any planet, adapt to it, then dominate it. The best moment I can think of was when my husband’s face broke out into a grin and he said, “Write that!! I haven’t read anything like that before.” Little did I realize that Aadi’s discovery would become a series of adventures. As an avid reader, I get bored fast with books that are long and drawn out. Therefore I wrote this book for my kids to enjoy. I depend on them greatly to critique my work, and believe me, they don’t hold back. Writing about teenagers is a passion I have because that was the most tumultuous part of my life. I felt deeply, experienced a lot, and overcame enormous trails in my teenaged years. I survived and so can my readers. I wanted to show that strength in my characters, their adventures, and their victories. I am working on the follow-on series to EXPLORER X – Alpha, and just completed the final edited copy of THE PACK, an edgy YA series about a girl who saves her world that comes out Fall of 2010. So now that you are fully intrigued you can win a copy of this book before it comes out in February! Thanks to LM Preston! In order to win you must fill out this form. This contest will end on December 31 at THREE Central Time so enter! As if being a purrfect cheerleader isn’t enough responsibility! Tessa Crimson’s the sweet and spunky leader of the SOS (Society of Smitten Kittens), a cheer squad–turned–spy society dedicated to bringing dastardly boyfriends to justice, one cheater at a time. Boyfriend-busting wouldn’t be so bad . . . except that so far, every suspect on the Naughty List has been proven 100% guilty! The Naughty List. Is your boyfriend on it? This series is a really cute idea. It is very original and different. The cover is gorgeous and really plays to the story of the novel. Tessa starts out as being perfect but then she turns into a normal girl which I really appreciated. Aiden was a little too fake for me but overall the characters were interesting. I wish I had gotten to know the "clients" better, I think the story would have been more captivating if so. I enjoyed the little bit of sleuthing that was in the book but I found myself longing for more. Beyond that it was a cute book and very different! I cannot wait for the next one! **Part of Around the World Tours! I was unsure about this book when I first heard about it, I mean Angels? But after reading so many reviews that praised it I at least had to pick it up and try it. I am so glad I did. This book was really fast paced but I did not feel rushed while I was reading it, each of the characters were endearing in their own ways! I also liked that I was unsure about the ending, and was shocked by the result. This was a very interesting and different play on bad boy, innocent girl, that I really enjoyed. I cannot wait to read the next book in the series, though I don't have any clue as to where Becca is going to go with it. But I guess that is part of the allure! I definitely recommend this book for anyone who likes YA books. Girls especially, if Patch does not make you swoon someone else will! Overall a wonderful debut! 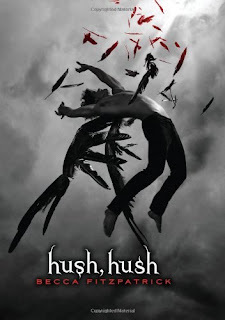 Enter to win a Nook or a copy of Hush, Hush from Becca Fitzpatrick! @ The Lateiner Gang Book Review Spot! For years, Grace has watched the wolves in the woods behind her house. One yellow-eyed wolf—her wolf—is a chilling presence she can't seem to live without. Meanwhile, Sam has lived two lives: In winter, the frozen woods, the protection of the pack, and the silent company of a fearless girl. In summer, a few precious months of being human ... until the cold makes him shift back again. I have officially decided that Maggie Stiefvater is one of my favorite authors! Every book she has written so far has made me fall more, and more in love with her writing style, and her sense of humor. 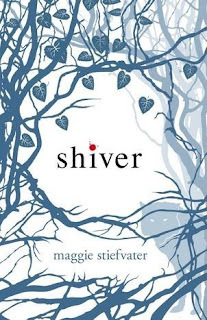 Shiver is a wonderful non-traditional love story that is told from both of the main characters POV. The transition from each character's tale was seamless and I loved being able to see the transitions and feelings from both characters' eyes. I felt so wonderful after reading this book, the ending tale is so beautiful that you can't help stopping and thinking about it. I also really liked how even though it was a book about werewolves, it really wasn't, it was so much more and that was just the immediate problem. I cannot wait until the next installment in the series comes out! Overall an awesome book! Hi everyone this is just a reminder that tomorrow is the last day to enter my 100 followers contest! You must enter by 11:30 Central Time so please don't procrastinate! 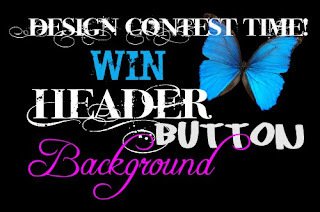 To enter click here and fill out the form! Good Luck! Murder, mystery, and adventure aren’t your typical birthday presents . . . But for Theo, anything that breaks up his ordinary routine is the perfect gift. A mysterious “illness” and Theo’s guardians force him into a life indoors, where gloves must be worn and daily medical treatments are the norm. When Theo discovers a suspicious package on his birthday, one person from the past will unlock the secret behind Theo’s “illness” and change his life forever. This book was very interesting. 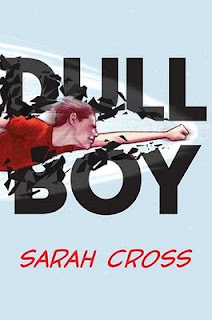 It had a great premise that I have never really seen in middle grade, or any other literature for that matter. Theo was very endearing, his confusion felt really genuine like it was written by some one who had dealt with that kind of confusion before (lets hope not). All of the characters were very well written and complex, I cannot wait to get to know them better throughout the series! The twists and turns in this novel surprised me, I was not able to guess where the story was going to go. Which I really enjoyed. Even though this is technically a middle grade book I think most everyone who likes action, would enjoy this fast paced novel! The only slight problem I had was that in the middle it was kind of hard for me to follow where everything was going. Overall a good book and I can't wait for the next two installments! 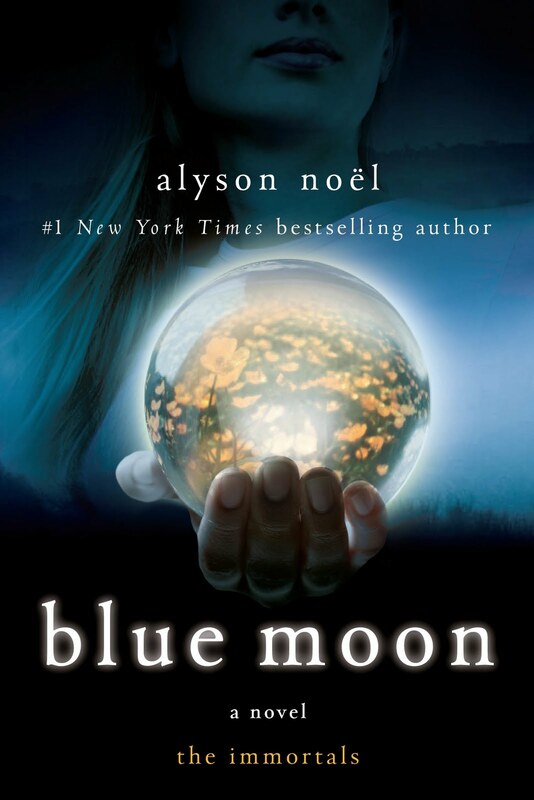 This is the second book in the Immortals series by Alyson Noel. I enjoyed this book significantly more than the first one which i njoyed as well. This book had many more elements that required resaerch by the Author, reaserch that I could tell she did. The plot was very interesting and had many different twists that I did not see coming, whih I enjoyed. I also liked getting to know more about Ever and Damian as this book went on. The only this I did not enjoy about this book was the fact that the beginning was a little slow, and then it felt rushed at the end. Overall this was a great book and I cannot wait to read the next installment! Make sure to check out my interview with the author. and Oscar's carefully-controlled world crumbles. This book has a great concept. It is different and really intersting. The whole idea is innovative and thought out well. I basically don't like books with male main characters, especially ones that are based in today's society because I cannot relate to their feelings. But many books that i have been reading lately have been slowly changing my mind. This book was one of them. While some parts were slightly awkward for me, being a girl and all, they were overshadowed by the wonderfully written prose and plot. The cahracters were well written and did not seem fake. The only criticism I would have is that I did not care for the ending. But besides that I was a really good book and a great debut! Astrid Llewelyn has always scoffed at her eccentric mother's stories about killer unicorns. But when one of the monsters attacks her boyfriend in the woods — thereby ruining any chance of him taking her to prom — Astrid learns that unicorns are real and dangerous, and she has a family legacy to uphold. Her mother packs her off to Rome to train as a unicorn hunter at the ancient cloisters the hunters have used for centuries. However, at the cloisters, all is not what it seems. Outside, the unicorns wait to attack. And within, Astrid faces other, unexpected threats: from crumbling, bone-covered walls that vibrate with a terrible power to the hidden agendas of her fellow hunters to — perhaps most dangerously of all — her growing attraction to a handsome art student... and a relationship that could jeopardize everything. I have been so excited to read this book ever since I heard of it! I mean really "Killer Unicorns" Whats not to like? Rampant did not disappoint! Full of action, drama, romance, tension, and the occasional gruesome scene, this book was everything a fantasy lover could hope for! Astrid was a strong character who knew what she wanted (or did not want, as was sometimes the case) She was very relate able as a person. I really liked the tension between her and her cousin throughout the book. 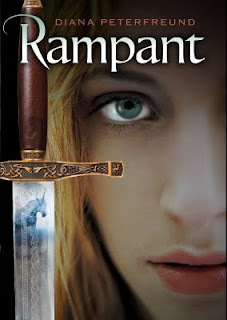 Rampant was a great novel and kept me guessing throughout the night (yes I pulled an all niter to read it!) Great plot, characters, and setting. Overall a wonderful book, and I cannot wait for the next one! Ok moving on, when I logged on to my computer I saw that I have... 102 Followers! Thanks so much! So in honor of this occasion I'm going to have a contest!!!! Finally 4 other people will win 1 Give Up the Ghost Bookmark each! The first winner will get the Books and bookmark, if you don't want the books let me know in the comments so if you win first you will get the swag and #2 will get the books! To Enter Fill out this form! all of the different ways you can earn extra entries are on there! Though haunted by memories of his father’s arrest in Pinochet’s Chile, Daniel Aguilar has made a new life for himself in the United States–far from politics. But when his father is released, Daniel sees what years of prison and torture have done. Trying to reach his father, Daniel, along with his “gringa” girlfriend, finds himself in the democracy struggle of the country he thought he left behind. 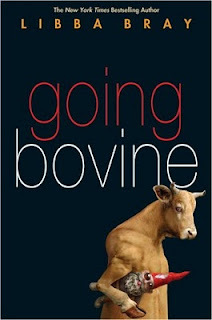 This books was very different, it dealt with aspects of life that are not usually brought up in Young Adult literature. I believe that it is very important that we are educated about different aspects of life, because you never know, maybe a book like this will bring freedom to a kid who has had a similar experience or it could help prevent this from happening to someone else. Author Bio: Lyn Miller-Lachmann is the Editor-in-Chief of MultiCultural Review, the author of the award-winning reference book Our Family, Our Friends, Our World: An Annotated Guide to Significant Multicultural Books for Children and Teenagers (1992), the editor of Once Upon a Cuento (2003), a collection of short stories for young readers by Latino authors, and the author of the novel Dirt Cheap (2006), an eco-thriller for adult readers. 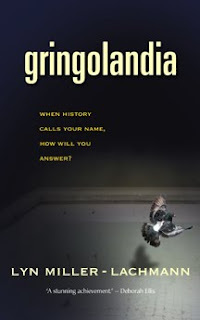 For Gringolandia, she received a Work-in-Progress Grant from the Society of Childrens Book Writers and Illustrator. I had the pleasure of having the author do a guest post about her book! I was taping a map of the New York City subway system to my classroom door, in preparation for the American history field trip in a few weeks, when one of my eleventh graders came to apologize for missing class that day. He gazed at the map and then pointed to a station in the West Village. Questioning him further, I found out that he planned to move in with his sister. “Does she know you're coming?” I asked. I don't know if my student ever did run away and, if he did, whether his sister took him in. I ended up leaving this private school in Connecticut at the end of the school year and the next fall began teaching high school in the New York City Public Schools. But I couldn't get my former student's story out of my head. Soon after, I combined it with my own experiences of leaving Connecticut for New York City to write my first young adult novel, Hiding Places, a “riches to rags” story of a 17-year-old runaway in New York. Its main character surprises a family member when he shows up at her door, and when she can't take care of him, he ends up in a shelter and then on his own, trying to put his life back together. 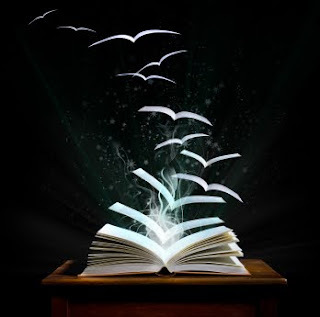 Even when I stopped writing young adult fiction to write other kinds of book-reference books, textbooks, and a novel for adult readers-I kept coming back to it. Of all the areas in which I write, it is definitely my favorite! I've taught full-time or part-time at the middle and high school levels for nearly 30 years. I enjoy teaching and being with young people. It's such an exciting time of life. You're trying things for the first time, trying to figure out who you are and where you fit into the world. And it's a time of rebellion against what your parents and society want you to be, as you get to decide what you want to do with your life. People have always considered me a troublemaker, and rebellion lies at the heart of my writing. That is certainly true of my new young adult novel, Gringolandia. The main character, Daniel Aguilar, has a father who's a rebel. Daniel and his family life in a country that's under a military dictatorship (Chile in the 1980s), and Daniel's father, Marcelo, drives a taxi by day but at night writes, prints, and distributes an illegal newspaper that describes the crimes of the military government. For that, he's arrested in front of Daniel and sent to prison, where he's tortured. The rest of the family flees to the United States. There, Daniel rebels against his parents by wanting to become a U.S. citizen and to have nothing to do with the country where he was born. So when Daniel's father is released and rejoins his family, there's a huge problem between father and son. And how Daniel solves the problem will determine the person he will become and the life he will have. She hesitates as if she too is surprised by the way he's asked the question. I think he should be proud of how we've done. Except for poor Tina. “It wasn't that bad,” I mumble. I don't like to think about the first few months, when I couldn't understand what anyone was saying. I had no friends and sat alone in my bedroom playing the guitar my favorite uncle, Tío Claudio, had given me before I left Chile. My first soccer team changed all that. After a year or so, I learned enough English to avoid being a complete social and academic zero, and now I speak it with an accent that makes girls go wild. My mouth drops open. “Marcelo,” my mother says in a low voice, almost a growl. You're crazy, I want to say. After all they did to you, you want to go back? And what about our lives here? But I wait for Mamá to answer first, the way I've been raised to do. Papá glares at her, like she's not supposed to backtalk him either. I press my lips together as tight as I can and ease the van onto the interstate. I can't go back to Chile. Not even Mamá knows this, but I've written for the papers to get my U.S. citizenship, and when I turn eighteen, it's going to be official. I glance at Mamá through the rear view mirror. She looks helpless, confused, and small. That post really inspired me. It is really nice when an author has a great reason for writing a book. Remember to check out all of the other posts in the tour for more chances to win! Read this book it is very influential!!!!! So that is it for my Random Magic Posts until I get the review up! Here they all are! Enjoy and make sure to check out all of the other stops in the tour! For my last Random Magic Post of the day I have a fun quiz and some trivia relating to the book! * The name of the artist, Rasa Oddvilla, is an anagram for Salvador Dalí. * The Floating City can be considered to be allegorical. * Only 2000 copies of the first edition of Alice's Adventures in Wonderland were printed, then discarded as waste paper. * “Two fathoms” refers to Mark Twain. * Anagrammatic homage to Douglas Adams in -- Ch. 42, of course. * Ergot-tainted rye can cause hallucinations. Historians suggest that ergot-tainted rye was the spur for the Salem Witch Trials in 1692. * Guédé is a voodoo entity; he guards the gates of the cemetery, and is privy to all the secrets of the dead. He's also known as Baron Samedi. Although he is a much-feared entity, he has a wicked sense of humor. He is fond of children, and will sometimes intervene to spare the life of a dying child. * The invention of the word game of "doublets" is attributed to Lewis Carroll. * Hypatia of Alexandria was a mathematician and the victim of a political assassination -- she was torn to pieces by a mob in 415A.D. * Professor Literati's eyes are the color of absinthe, a drink which was popular with artists, writers and poets in the 19th century. Absinthe is also referred to by the moniker "The Green Fairy." * Gone is the feline retort to the paradox of Schrödinger's Cat. He's rumored to be related to the Cheshire Cat, but we can find no definitive proof. * The nickname "Wiggy" refers both to Beethoven and to Ludwig II of Bavaria, a/k/a the Swan King, the Dream King, and, natch, the Mad King of Bavaria. * Nyx is the goddess of night. * Charon is the ferryman of the dead. The ancient Greeks buried loved ones with a silver coin under their tongues for Charon, to ensure safe passage. * Moirtha the cook (one of the Wyrd sisters, related to the Norns) is one of the Moirai. * Nevermore is named for the well-known poem, "The Raven," by Edgar Allen Poe. * The book Winnie and Henry read in the library is Der Struwwelpeter, a ghastly/funny children's book of cautionary tales published in 1845. Mark Twain translated the book into English in 1891. * The woman in the Garden of the Nine Muses is actually a tarot card representing hidden knowledge. If you take the quiz let me know who you got!